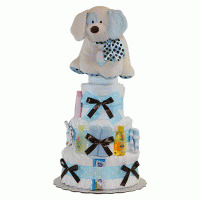 Soft and sweet! 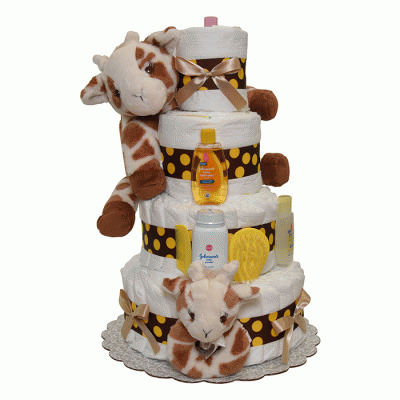 This adorable brown and green diaper cake is the perfect gender neutral gift to welcome any new baby. 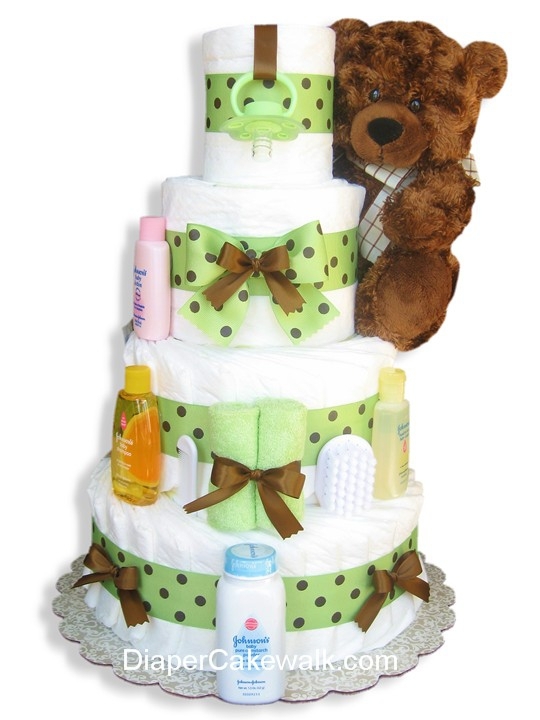 Decorated with chocolate brown and soft green, and snuggled by a chubby, marshmallow-soft teddy bear that baby will adore as much as mom and dad adore this practical gift for their newborn. 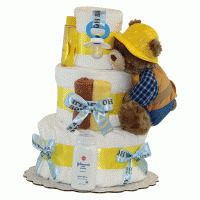 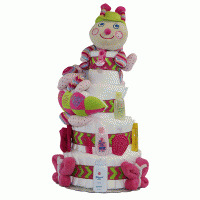 Burt's Bees ALL NATURAL baby care products can be substituted for the Johnson's baby care products on this diaper cake if you prefer.